This story was originally published on Feb. 17, 2017. On Friday, the federal government is set to announce a deal to settle multiple Sixties Scoop lawsuits. There are no records left to explain why Marcia Brown Martel had to be taken from her family when she was a four-year-old growing up in an aboriginal community in northeastern Ontario. When, as an adult, she asked for a copy of her file from child-welfare authorities, all she got was a one-page summary that gave no explanation why she had been placed in foster care. The sheet said her mother had signed a consent form – which couldn't be true since her mother didn't know then how to sign her name. Years later, when Ms. Brown Martel found her way home, she discovered another falsehood. All the time she was away, enduring loneliness, abuse and suicidal urges, her family hadn't tried to reclaim her. They had been told she was better left in foster care because she had a mental disability. She remembered her father's face turning red with anger when they reunited many years later. "They lied to me. They lied to me," he said. 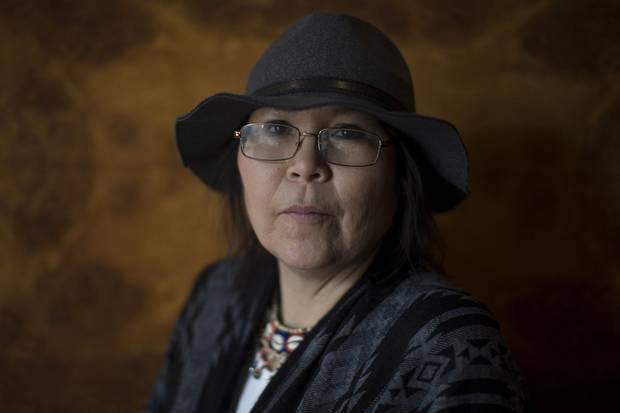 Ms. Brown Martel and 16,000 other Ontario aboriginal people were caught in what became known as the Sixties Scoop. Officially, it was an agreement extending Ontario's child-welfare system to aboriginal children. In effect, for two decades, children were forcibly removed and placed with non-Indigenous families. 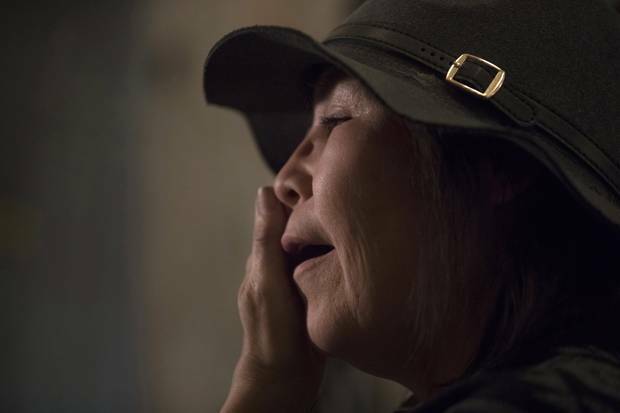 Though less known than the residential schools, the Sixties Scoop left a similarly painful mark on children who were suddenly cut off from their families, culture and language. On Tuesday, a judge ruled that the "scooped" children of Ontario were entitled to damages that could total up to $1.3-billion. The judgment could have an impact in other provinces, where thousands of others are also seeking redress before the courts. The lead plaintiff in the Ontario case was Ms. Brown Martel, who, in a remarkable life twist, reconnected with her family after nearly 14 years and eventually became chief of her community. It was vindication for a woman who was so scarred that for years she woke up each morning thinking about suicide. "It was like carrying a bag of dead bones," she said in an interview the day after the historic judgment. She was born in 1963 as Sally Susan Mathias, the second youngest of seven Algonquin siblings. 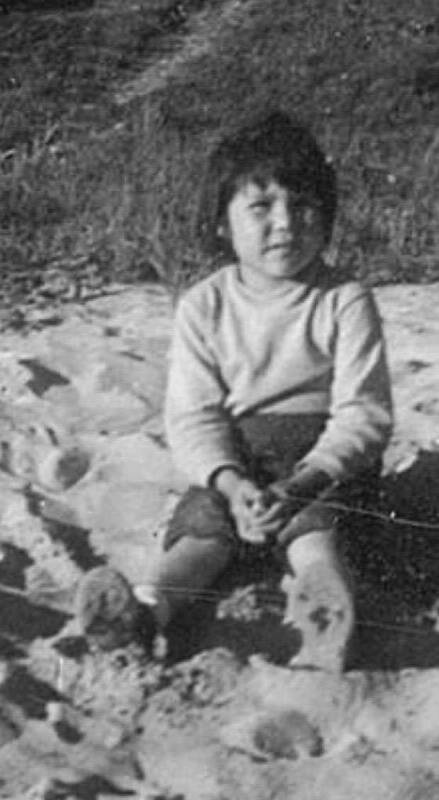 Her parents, Alex and Jemima, lived in the Beaverhouse First Nation, a remote settlement that is mainly reached by boat or snowmobiles. She remembered growing up happy, playing on the shores of the Misema River. Then her world changed the summer she was 4 and strangers speaking a language she didn't understand took her and a sister, Lynn, into a boat. Before she was wrenched from her family, her sister Nancy told her to memorize that she was Sally Susan Mathias of the Beaverhouse in Kirkland Lake. For the next five years, she lived in 10 different foster homes in northern and central Ontario. Sometimes, she could visit Beaverhouse but would be returned to foster care, so that her brief time home would be filled with dread, expecting the sound of the boat that would fetch her again. At first, she and Lynn were together but one day she was told her sister no longer wanted to be in the same house and they were separated. "You know that scene in the movies when a child is in the back seat of a car, looking back through the window? I did that for real and it broke my heart." Some of the foster homes were abusive households. "I wondered if a person could hit me to the point I would die," she said. She learned to gauge adults and spot the ones who would hurt her, the ones who would not be helpful. She learned that no one cared about her feelings and that it was better to keep quiet and observe. "I was this little person, alone in the world … Nobody wanted me." Some of the foster homes where Marcia Brown Martel lived were abusive. ‘I wondered if a person could hit me to the point I would die,’ she recalls. When she was 9, she was placed for adoption with a family in southern Ontario. "What happens if I say no?" she asked at the court hearing. The judge didn't pick up on her hint so she went along. She was given a new name, Marcia Brown. Her adoptive mother wanted a girl who could be put in pretty dresses. Instead, she got a tomboy who had been sexually abused and didn't want to make herself attractive – "because I know what happens to pretty girls." At bath time, she was washed roughly, to "scrub the brown off" her. Again, she was physically abused. She wondered why no one at school raised concerns when she would show up with bruises. "I must be invisible to them," she thought. By the time she was a teen, her adoptive parents had split. She lived in Texas with her adoptive mother. She got pregnant and had to put her newborn up for adoption. Her growing estrangement from her adoptive mother culminated just before Ms. Brown Martel turned 18. She was driven to the airport and handed a plane ticket to Canada. Because she had memorized her original name and hometown, her adoptive mother had managed to contact one of Ms. Brown Martel's relatives, her sister Nancy. That May, with no money and wearing her Texan summer dress and sandals, Ms. Brown Martel landed in North Bay. Nancy was waiting for her and took her back to Beaverhouse. Conversations were limited at first because she had forgotten much of her Algonquin. She also had no shared childhood memories that could help her bond with her relatives. But she said she felt a sense of belonging. She was among people who thought the way she did. She could recognize their social code, their body language. She camped in the bush with her family, learned trapping, watched how the elders cleaned a moose with knives. She finished her last year of high school in North Bay, where she discovered that a fellow student was her younger brother Teddy. He was an infant when she was taken away and was eventually "scooped" into foster care too. She searched for her records and discovered that Sally Susan Mathias had been declared dead. After a decade reacquainting herself with her community, she spoke up for the first time at a public meeting. She was eventually elected to the band council. She and another Scoop survivor launched their lawsuit in 2009. 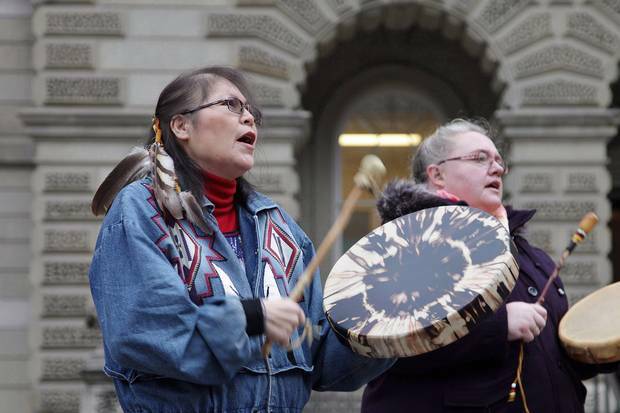 Marcia Brown Martel, left, drums outside court in Toronto on Dec. 1, 2016. In 2011, she became chief of the 285-member Beaverhouse First Nation. "Here I am now … I didn't seek retribution. I didn't seek to blame. I wanted to share with people what I had learned." Her lawsuit only sought $85,000 in damages for each survivor. But she got a judgment stating that the Canadian government had failed in its duty of care. The day of her court victory, she joined in ceremonial drumming and singing. The song, she said, spoke about the flight of eagles and, like soaring birds, her spirits that day felt lighter. 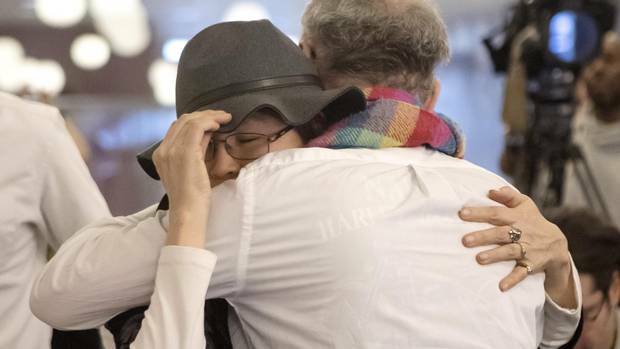 Editorial: The harm done by the ‘Sixties Scoop’ The ‘scooped’ children lost contact with their families. They lost their aboriginal language, culture and identity. Ottawa failed in its duty of care to these vulnerable children. 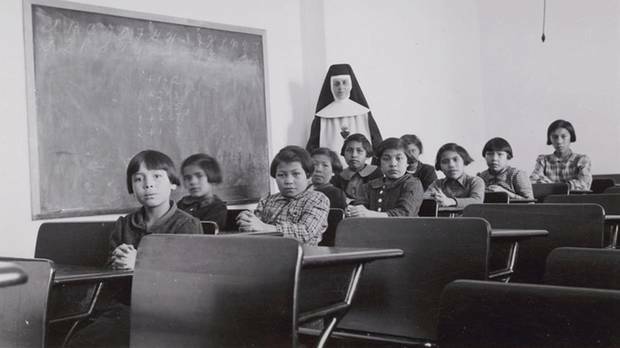 Victims of abuse in residential schools may never be identified It may be impossible to identify all of the former students who abandoned their compensation claims when they were subjected to a questionable legal manoeuvre by federal lawyers, says the secretariat charged with determining which cases fall into that category.